We are the leading Manufacturers of Kitchen Chopper in Rajkot, Gujarat, India. 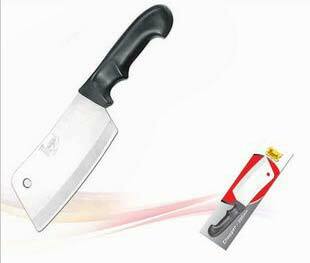 The blades of our Kitchen Chopper are finely sharp and long-lasting. Our diligent professionals craft them with a high level of precision. We adopt the cutting edge technology for manufacturing our Kitchen Choppers. The entire range of our Kitchen Chopper undergoes a series of quality checks before the final delivery. We offer them to various hotels, restaurants, canteens, and kitchenware dealers.